Try our free, online introductory course. Welcome to home study solutions.com! 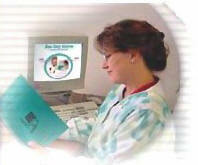 At Home Study Solutions.com Inc., we offer over 70 dental and medical continuing education courses designed for dentists, hygienists and dental assistants nationwide. Take an online course by creating an account or login to previous account to get online access to course.Then submit your test, receive your grade and print your certificate instantly! Licensed practical and registered nurses in the state of Florida may also use our courses toward their continuing education credits. "Instant grading is great! I received my certificate immediately." "Outstanding content in the courses, I will buy again"
"Not many companies offer this service, Thank you." "Getting my certificate immediately by email is great!" DENTAL LAB CE'S - Independent Florida dental laboratories are required to take 18 credit hours of continuing education every 2 years. Check out our Lab Core Package(s) that meet new requirements for FL and also meet NBC for CDT and RG. NOW submit your answers online to recieve your results immediately. No waiting for results! Just log into your account and submit your answers.